There are a lot of SEO companies who promise you they can put you at the top of the search engine rankings – but how can they all succeed? Everyone can’t be Number 1. Search engine optimisation is not a one-hit wonder, it’s a long term strategy that needs constant attention – ideally, by someone who knows what they’re doing. Search engine algorithms (the boxes that must be ticked to succeed) are changing all the time so what worked last week may not work as well this week. People will tell you all kinds of things that may have been true once, but aren’t any more. You need at least 3% (or some other percentage) of keyword density (repeats of your keyword) in order to rank. This was true some years ago, but search engines are more sophisticated these days. If you are selling car parts and your website has a page that mentions hairdryers, that’s not going to help your ranking, but, providing your content is specific to the page subject and relevant, you don’t need to stuff your page with key words and phrases. Your site needs loads of links to register on the search engines. Link farming used to be a valid means of giving your site a boost – and links are still important, but the right kind of links are important. Inappropriate links can actually reduce your ranking. You really need an expert to guide you through this minefield – it’s so easy to get it wrong. It’s important that the meta tags and descriptions for each page have the appropriate key words – but a whole string of keywords doesn’t help. It’s a much more selective process and every page should be treated individually. Meta tags and descriptions don’t actually directly affect your ranking, but they do create the description that a potential visitor sees so can influence that person’s decision on whether to click your website – or someone else’s. Good content is essential both to engage the human visitor to your site and to help the search engine to understand what each page is about – but it doesn’t work in isolation. 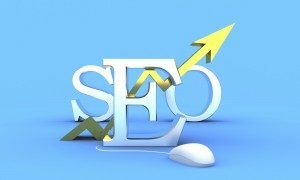 You need good content AND expert search engine optimisation strategies to really make it up to the top of the list. Nope! It has absolutely no effect either way. If you have Google Ads then your paid for ads will appear on the page that is created when someone searches on those particular key words, but it won’t make your organic listing any better – or any worse. SEO is combination of continuous monitoring, tweaking, keeping up with the search engine algorithms and testing. It’s time consuming – but, done well, worth the investment in bringing you lots of visitors who are actively looking for what you’re offering.